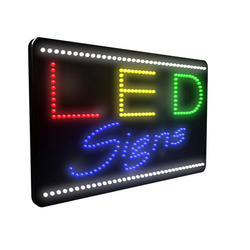 We are one of the leading manufacturers and suppliers of LED Signage and supply them at reasonable prices. These products are made of optimum quality LED that is procured from reliable vendors. Our expert professionals incorporate latest technology and advanced machinery in the manufacturing process. This product range includes Front lit LED Signage and Backlit LED Signage. These products are highly demanded for their durability, attractive designs and smooth finish. The extended version of LED Signage is glowing signages Acrylic is also widely used for glow signages as it is available in ample colors and has advantage better light transparency. The letters are front lit or back lit with the power source of NEON, Tubes or LEDS. The light source is bend to the curves of the letters provided with transformers for longer life. We design and supply best quality Front Lit LED Signage with multiple eye-catching designs. 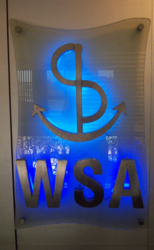 Signage is a visual graphic developed to display some sort of information. It is usually applicable on the highways and buildings. We manufacture them from superior quality raw materials and sophisticated machinery. Offered range is available in market leading prices.